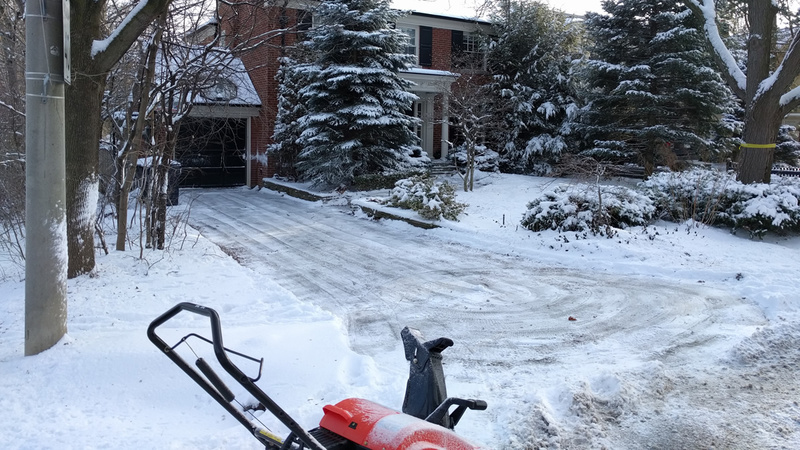 Our popular snow removal services include unlimited snow plowing and snow shoveling on a monthly plan. 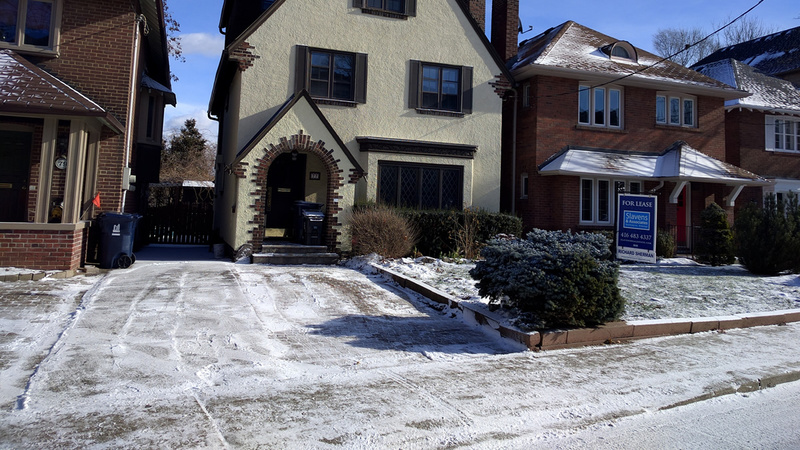 With our competitive pricing and reliable services, we offer Midtown Toronto and East York's best value for residential snow removal services. 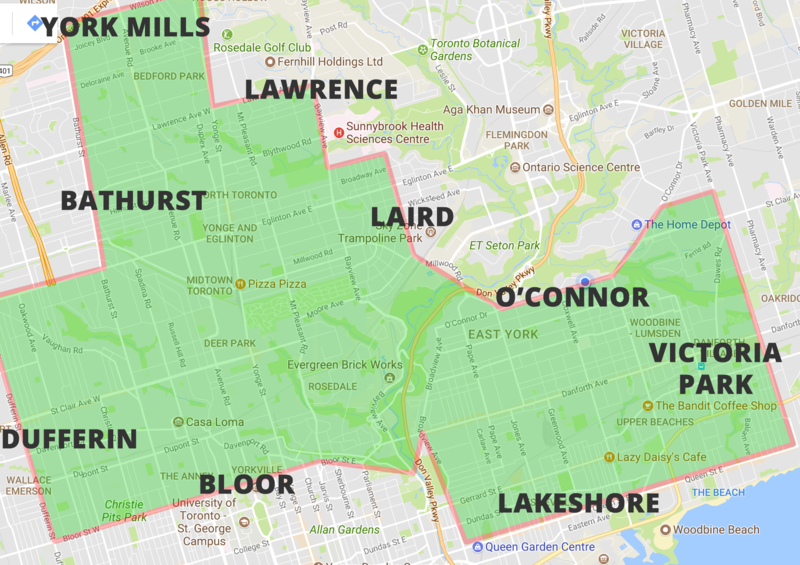 To get started, call us at (647) 461-0285, or sign up online. We can also provide a custom estimate for other types of properties (including residential developments, commercial buildings, and apartment buildings). Scroll down for Pricing, our Lawn Mowing FAQ, and our General FAQ. We offer standardized pricing for houses in our service area. Other types of properties require a free estimate. Don't need a parking pad or driveway maintained? You'll save with this basic plan, which includes shoveling the front walks, and a path to the recycling/garbage bins. Have a front parking pad for one vehicle? 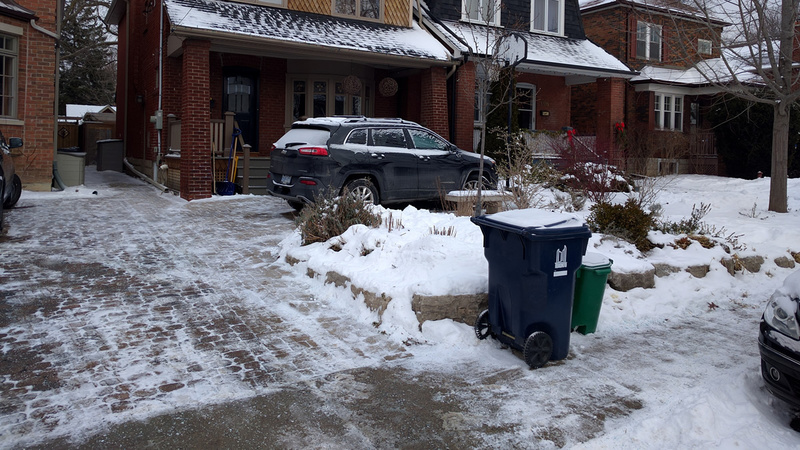 This plan includes shoveling the front walks, a path to the recycling/garbage bins, and a front parking pad large enough for one vehicle. Have a front yard driveway or garage? 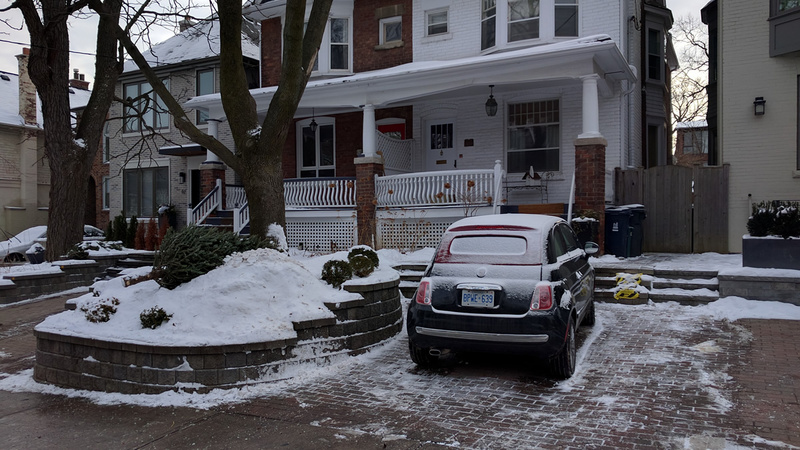 This plan includes shoveling the front walks, a path to the recycling/garbage bins, and a front-yard driveway. Have a full length driveway? 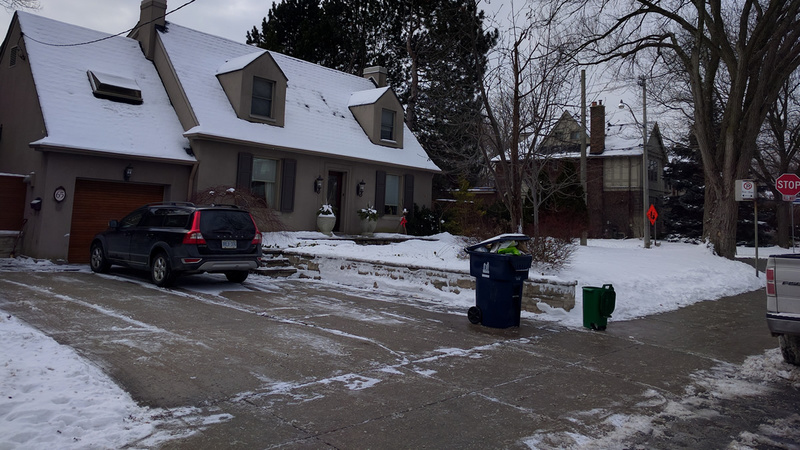 This plan includes shoveling the front walks, a path to the recycling/garbage bins, and a full length driveway. 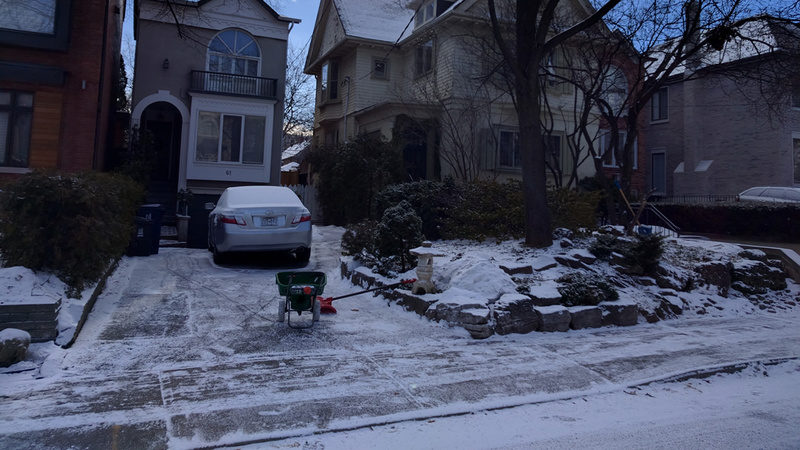 Do you offer one-time (on demand) snow removal services? No. We no longer offer on-demand snow shoveling or removal services. We prefer to focus on delivering a reliable, high-quality service for our monthly customers. If you need on-demand snow removal services, we recommend (and plow for) EdenApp, an Android and iPhone app that lets you hire a plow operator online. The team works incredibly hard and does a superb job. I can’t recommend their services enough! !